I’ve been watching Daniel Anthony Torrance suffer for nearly seventeen years. As a child, Danny was beaten by his alcoholic father, who then locked him and his mother in an empty hotel secluded in the Colorado Rockies. For months, Danny and his mother suffered horrific threats. They were forced to view violent, sexual and torturous images. Repeatedly. Nearly continuously. And after every means of communication with or access to the outside world was cut off and there was no longer any hope of outside intervention, Danny’s father attempted to kill his wife and child with a hammer. This is the story of Stephen King’s The Shining. When I was twelve years old, I took in Danny’s story in the form of a TV miniseries, a classic horror novel, and Stanley Kubrick’s unsettling film. I honestly have no idea how many times I’ve lived through the story of that horrific winter in Colorado. But when I began reading Doctor Sleep, Stephen King’s long-gestating sequel to The Shining, and I began reading about Dan Torrance’s dissolute adulthood, I started to cry. I didn’t realize until this weekend just how badly I had wanted the little boy from The Shining to be okay, how hard I had hoped over the last seventeen years that the same psychic gift that allowed Danny to survive that horrible winter in the Overlook Hotel would also offer him the emotional and psychological resources to recover from it. Instead, Doctor Sleep shows us an adult Dan discovering that drugs and alcohol don’t just help him bury his memories—they also help him tamp down his psychic gift and shut himself off from the world. Reading the new book’s opening chapters and watching Dan circle the drain, committing as much violence against his body and his future as his father ever did against his mind, my heart sank. But the book goes on, and as it does, so does Dan’s life. He finds Alcoholics Anonymous, stops drifting, and, in a plot thread that provides some of the book’s most lyrical and humane moments, earns the book’s titular moniker while working at a New England hospice. I mention lyrical and humane moments. At their worst, King’s hordes of imitators resort to schlocky shock-horror to get a reaction from their audience, pummeling the reader with violence for violence’s sake. But King himself has, believe it or not, always excelled at well-observed human moments. We all have split-second thoughts that we would never want to share—moments of anger, disgust, self-aggrandizement, lust and condescension to which we’d never admit. King’s talent for finding those fleeting thoughts, diving into them, exploring them in depth is unparalleled in popular fiction. (Maybe even in literary fiction.) And at his best, the supernatural elements of King’s stories have always served as our entry point into exploring very real, very present anxieties that plague our modern life. 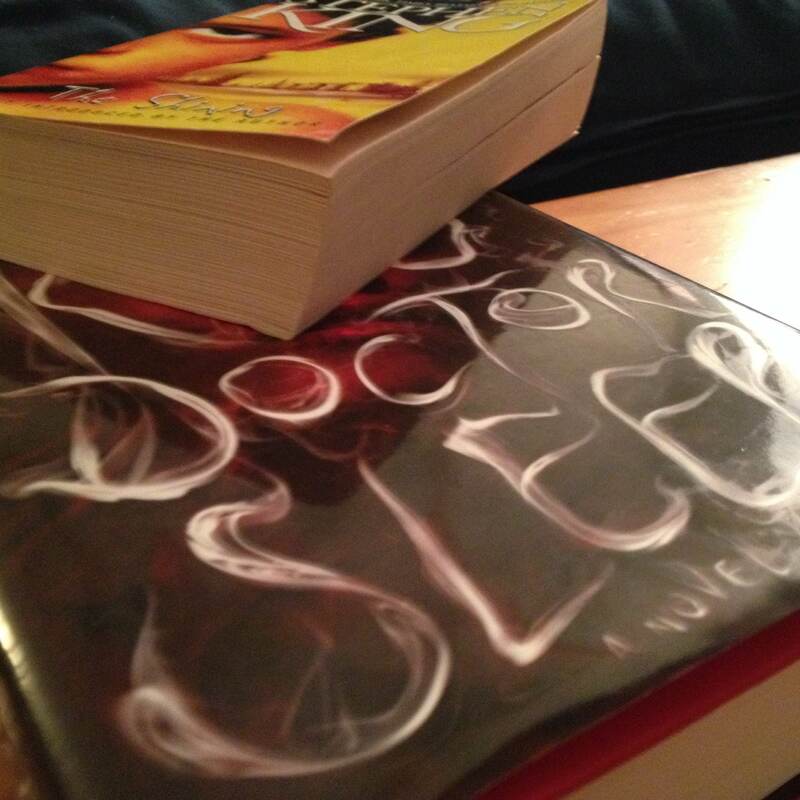 I’m pleased to say that, despite the body-swapping and the roving horde of psychic vampires, Doctor Sleep belongs in the rolls of King’s best. The book is filled with what seem at first to be (somewhat clumsy) artistic flourishes, like the almost on-the-nose metaphor of a young Danny learning to bottle up his demons. In other places, King seems to be giving his audience a sly wink: A young girl’s habit of rubbing her mouth only seems justified as an in-joke for those of us who remember Dan’s father in detail because we grew up squeezing our copies of The Shining hard enough to leave finger dents in the pages. But most of what I thought was clumsy in the first half turn into important plot points later in the book. (Spoiler in white text: Adult Dan learning to release those demons and be rid of them is key to the final resolution of the plot.) And even the parallels that looked like in-jokes turn out to matter in the world of the story, too. King sometimes has a tendency to contort narratives into happy endings that feel forced. With a book like this, that seems inevitable: Despite the horror of the story, forty years of readers have grown to love The Shining. The tendency to let all of that good will seep into the fabric of the sequel must have been incredibly insidious. But by the time Doctor Sleep crescendoes on the site of the old Overlook hotel where The Shining took place, that one big, heart-warming plot twist that felt too convenient by half one hundred pages earlier actually feels earned twice over. Maybe it was just the decades of good will I have built up for the property, but I reached the end satisfied. As I finished the book, I couldn’t help but think of the beautifully animated interlude in the middle of Harry Potter and the Deathly Hallows about three young men who struggle to come to terms with the reality of death. After all these years, Danny’s life is complete, and we can bid farewell to the ghosts of the Overlook, waving to them the way one waves off an old friend.